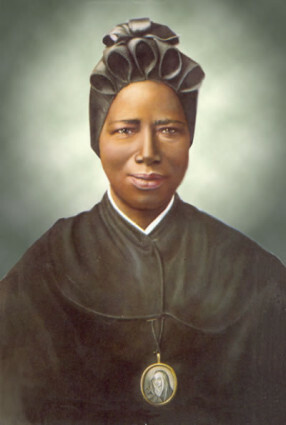 St. Josephine Bakhita was born in the Darfur region of Sudan in 1869. At the age of 7, she was kidnapped and sold to slave traders. During her captivity, she was re-sold multiple times before the age of 15. Her trauma was so severe that she forgot her real name and was given the name “Bakhita” by her traffickers. Her body was broken by violence and exploitation, with at least 60 different patterns of scarring by knives, including “branding” meant to identify her as the property of her owner. The trafficking St. Josephine endured reminds us of the experiences of survivors we stand alongside every day. We honor the new life and freedom St. Josephine knew after years of trauma and abuse, as we honor the new lives survivors forge for themselves every day. We remain hopeful, just as St. Josephine was hopeful.